Real Madrid forward Cristiano Ronaldo scored a brace as they defeated Sevilla to remain on course for a double this term. Madrid defeated their La Liga rivals 4-1. Nacho Fernandez and Ronaldo scored a goal each to go 2-0 before the break. Immediately after resumption Sevilla star Stevan Jovetic pulled one back. Jovetic was constantly attacking in the first half, hitting the frame work twice. Ronaldo finished their opponents at Estadio Santiago Bernabeu when he scored the third for the league leaders. Toni Kroos completed the roué with a good strike. Barcelona defeated Las Palmas 4-1 to remain in contention for the title. Madrid now have to remain focused for the final clash in order to land their first La Liga title in five years. They have Celta Vigo on Wednesday and Malaga next week to seal the title. No matter the result at Eibar, Barcelona would not be able to steal it. Only if they do what is required. Real Madrid superstar forward Cristiano Ronaldo has been reported as the world’s highest earning sportsman by Forbes Sports Money Index. The Real Madrid forward was reported to have earned £70.5 million last year with £44.8 million in salary and prize money, and £25.6 million in endorsements. His long term rival Lionel Messi comes in second place with £65.2 million. NBA star LeBron James is in third place, ahead of Australian Open champions Roger Federer. James earned £61.8 million from basketball, deals and endorsements while Federer pocketed £54.3 million. Recently, Cristiano Ronaldo, Portuguese and Real Madrid striker came off with another award after bagging the Balloon d’Or award last year. Following a viewers’ vote, Ronaldo was elected the World Star of the Year by Eurosport – a sports TV Channel. Ronaldo is also considered the favourite to win FIFA Player of the Year award this January. 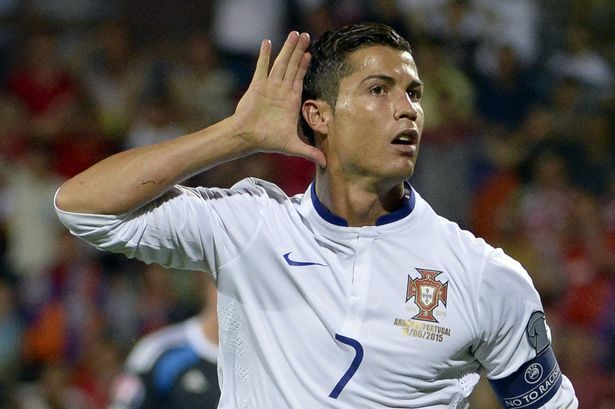 From the votes given by voters, Ronaldo received a total of 40 percent of the votes. Usain Bolt, Jamaican sprinter received 25 percent of the votes while Michael Phelps, US swimmer received 12 percent of the votes. This is coming at a time in the player’s life when his number of accolades have been on the rise and international recognition has also been notable. For instance, Ronaldo recently rejected an offer by a Chinese team which was to give him an annual pay check of €100 million while also offering to pay €300 million for his transfer fee. Top two football stars Lionel Messi and Cristiano Ronaldo are still the joint highest paid players in world football, according to reports. Gareth Bale extended his deal with Real Madrid, yet the Welsh superstar is not the highest paid footballer as many would expect. The former Spurs player signed a deal worth a stunning £346,000 per week after tax. The deal would mean he gets a staggering £108 million over the next six years as agreed. The pair of Ronaldo and Messi take home £365,000 in weekly wages after tax. That sums up to £19 million in annual payments. The Spanish income tax rate that players pay is c.45% meaning Real Madrid are forking out as much as £32.7 million annually to keep Bale to the Santiago Bernabeu. When extrapolated, it means the duo of Messi and Ronaldo earn £34.5 million per year. Reports say Real Madrid put the official price tag of the Bale around £18 million, but it is definitely a bit higher based on calculations. 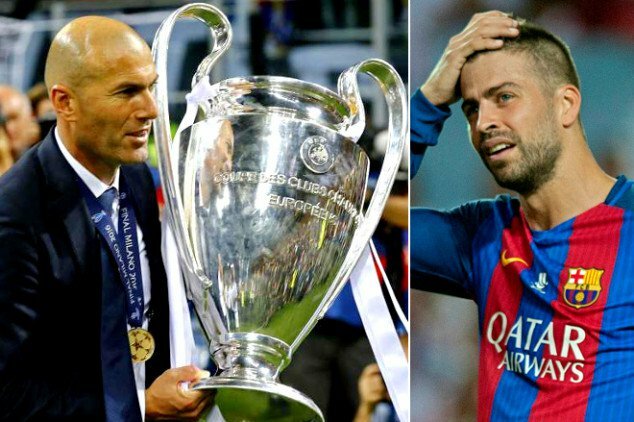 Zinedine Zidane reckons Gerard Pique is free to say what comes in his mind, but, winning while you are touring around the continent is itself a challenge, let alone the standard of the opposition you get to play. Pique, while responding to someone’s question on social media, had hinted that he didn’t rate the triumph of the Whites in the continent that high as he reckoned they went untested, both through the group as well as through the knock-out phase. Pique had elaborated in his reply that Madrid did not have to lock horns with the champions of any of the European leagues, not even the Runners up of the leagues at any stage. The team they got in the Round of 4 was Manchester City which was the lowest placed among all the Premiership teams qualified to Europe. Pique is someone who has triggered intense verbal battle between the two bitter rivals in the past, but, Zidane chose to be an iceman on this occasion and didn’t react ferociously at Pique’s swipe. For those who love to see discussions surrounding their favorite players, the recent discussion between Rory McIlroy, Sir Alex Fergusson and Lionel Messi proved to be a wonderful one for the fans. It was held at the Dublin convention center. It was an evening that drew in a lot of fans, compared to a football match. There were about 2000 fans that were present at the Dublin Convention center. The event took place on Tuesday. 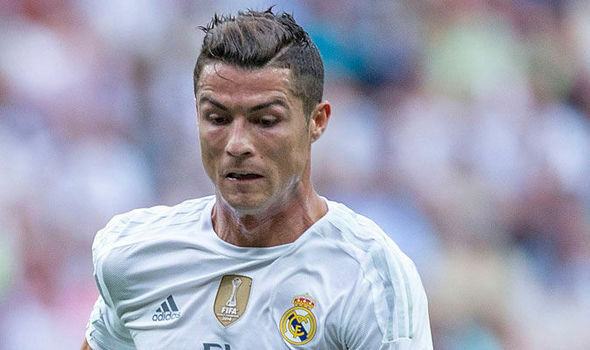 Portuguese and Real Madrid star player, Cristiano Ronaldo would not likely move to French Champions Paris Saint Germain this summer, according to latest indications. The player’s agent has met with Paris Saint-Germain to discuss a transfer to the Ligue 1 side from the Bernabeu, though the talks will not pave a way for a summer move this year. Jorge Mendes, the proclaimed ‘super-agent’ responsible for handling matters involving the likes of Jose Mourinho, David De Gea and Ronaldo, is said to have travelled to Paris this week to hold discussions with PSG over a future move for the Real superstar.